Covering 12 areas of the law over 3 days, this Conference organised by the Singapore Academy of Law will provide rapid updates on the law with incisive panel discussions on gaps and issues in each area. Speakers will discuss the decisions of the Singapore Courts in 2015, touch on relevant cases from other jurisdictions that impact on local law and highlight the developments in the principal areas of the law that have taken place since. Discussion panels are drawn from legal practitioners, academics and private and government agencies, with selected sessions chaired by the Judiciary. 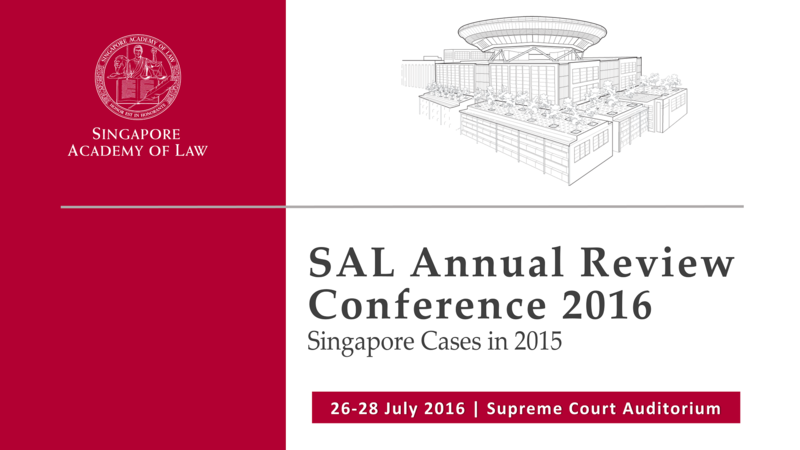 Visit https://www.sal-e.org.sg/sal-annual-review-conference for more details and to register today.